Florida Georgia Line have just wrapped their 2016 Dig Your Roots Tour, but they’re far from saying goodbye to the road. 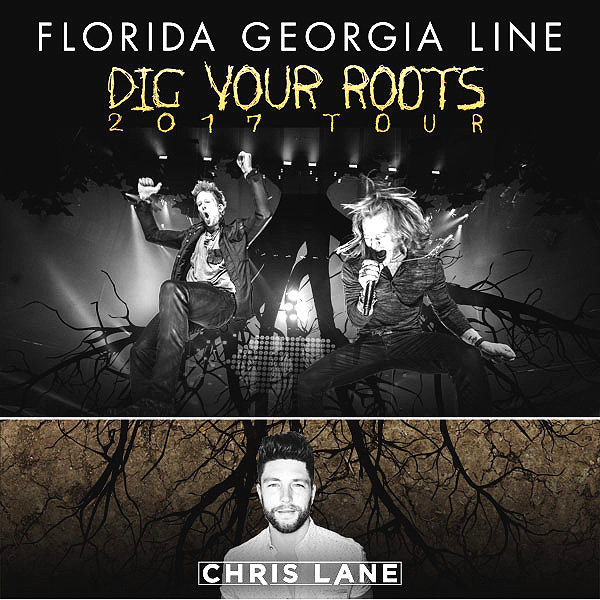 Tyler Hubbard and Brian Kelley will be visiting 28 additional cities for their 2017 Dig Your Roots Tour beginning in January, and will bring along Nelly and Chris Lane for the winter tour. The tour will stop in cities throughout Pennsylvania, New Jersey, West Virginia, Florida and more, and Hubbard adds his excitement for Nelly and Lane to join FGL on the road.